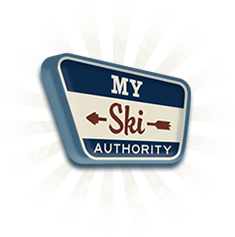 Welcome to Washington Ski Authority. Your Spot for WA Ski Discounts. What if someone told you that a mountain ski resort got an average of 701 inches of snowfall in a year? What if they said it was fluffy powder that was a dream to ski on? What if another mountain had over 2500 acres of skiable territory with access to another 600 acres of backcountry? Are your skis itching yet? Locals know that, while it rarely snows in the Emerald City, Seattle offers tantalizing views and easy access to snow-covered slopes. For those vacationing from out of state, know that all this skiing in Washington is within just a few hours of the Seattle-Tacoma airport. There are many places to go skiing in Washington. The Cascades cut the coast off from the central plains and the moisture-laden winds come in off the Pacific. Again, when the moisture of the Pacific Northwest climbs up into the mountains it becomes snow. And a lot of it. Skiing in the Cascade Mountains starts with Mt. Baker, located about four hours north of Seattle. This little mountain received a record 857 inches of snow in the 2010-2011 season with over 200 falling in March alone. There are eleven more ski resorts as you travel south, from Snoqualmie to Stevens Pass. Snoqualmie has over 1900 acres of skiing with a 2280-foot vertical, while Stevens covers 1125 acres over a modest 1800-foot vertical. For skiing in the eastern part of the state, Mt. Spokane is known as the go-to ski area. This spot is 28 miles outside of Spokane and has 45 trails over 1400 acres. 49 North is also nearby, named for its location near the 49th parallel. Its remote location means that you can get in some prime skiing without a wait at the lift line. When skiing in Washington, you’re going to see opportunities to ski off the reservation and go backcountry. This is an amazing opportunity to see fresh ungroomed powder and ski places you never thought you would. However, there are safety precautions you need to take. The Cascades are not gentle mountains. There are severe cliffs in backcountry and persistent avalanche dangers. Get an avalanche kit and learn how to use it. Additionally, pack a two-way radio. Accidents can happen and cell coverage can be spotty. Learn the frequency for the ski patrol and program it into your radio. If something happens, better safe than sorry. All that being said, like any ski area, most resorts also make an effort to cater to beginners. Whether you’re trying to catch up with your friends’ skills or you have a group who wants to learn together, don’t let next year’s challenges, stop you from enjoying this year’s adventures. There are plenty of runs for skiers of all levels. If there was one tip to saving money on skiing in Washington to offer, it’s this: plan ahead. When it comes to vacation costs, especially equipment rentals and lift tickets, the longer you wait, the more you’re going to pay. When it comes to equipment rentals and other accommodations, we can get you a discount of up to 20%. Whether you’re looking for a remote or social destination, economy or luxury-style travel preferences, let us help you plan the perfect weekend or getaway ski-cation. Don’t see what you need here? Don’t hesitate to let us know what you’re looking for.